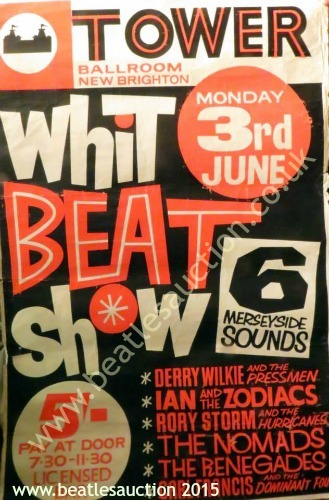 We have a small number of Rory Storm and the Hurricanes related items in our Annual Liverpool Beatles Memorabilia Auction this August that are formerly the property of Ty O'Brien from the group. Two of the highlights are listed below. 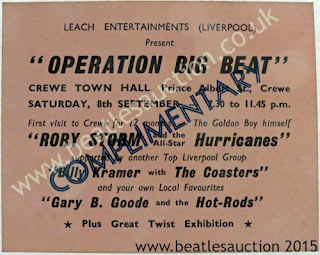 On a related Rory Storm note, also up for auction is this complimentary ticket for Operation Big Beat featuring the band. 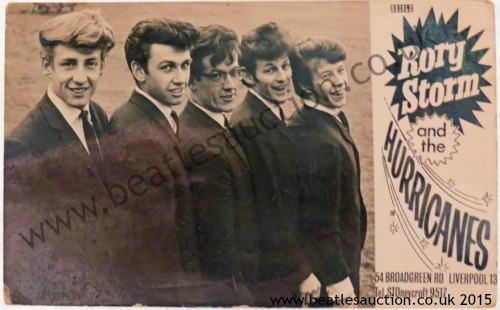 It has an estimate of £150-£200.